New. 456 p. 61 line illustrations. Intended for college/higher education audience. Intended for professional and scholarly audience. In Stock. 100% Money Back Guarantee. Brand New, Perfect Condition, allow 4-14 business days for standard shipping. To Alaska, Hawaii, U.S. protectorate, P.O. box, and APO/FPO addresses allow 4-28 business days for Standard shipping. No expedited shipping. All orders placed with expedited shipping will be cancelled. Over 3, 000, 000 happy customers. New. 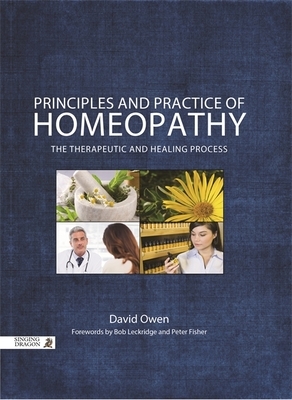 With highly-respected international contributors, this comprehensive textbook provides a complete understanding of the principles and practice of homeopathy. Diagrams and case studies help students and practitioners to apply concepts to real-life situations. Num Pages: 456 pages, 61 line illustrations. BIC Classification: MX. Category: (P) Professional & Vocational. Dimension: 198 x 253 x 31. Weight in Grams: 1126. 2015. Hardcover.....We ship daily from our Bookshop. New. 456 p. 61 line illustrations. Intended for college/higher education audience. Intended for professional and scholarly audience.